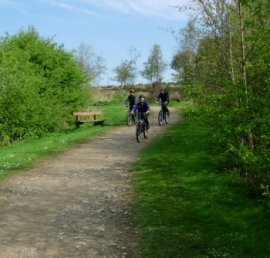 Created from what was once largely derelict land, the Northwich Woodlands now provides a rich and green environment to the north of Northwich town centre. Northwich Woodlands is made up of nine countryside sites each with a different character and history. The Weaver Navigation and the Trent and Mersey canal flow through the heart of the Northwich Woodlands adding further variety to the landscape. 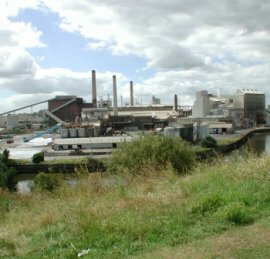 Northwich is the cradle of the UK's chemical industries, historically dependant on halite (salt rock), the underlying geology of the region. 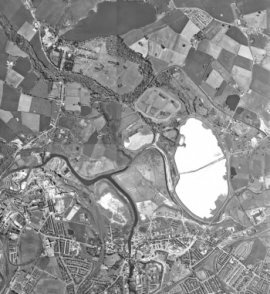 Salt has been extracted in the area since Roman times, establishing the important Roman towns of Northwich and Middlewich and the early road systems of the region. During the 18th century, whilst searching for coal, people working for the Smith-Barry family rediscovered the major salt beds below Northwich. 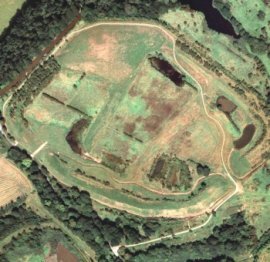 The Barry family lived at Marbury and the excavations were located between Marbury Hall and Northwich in the centre of today's Northwich Woodlands. The 18th and 19th century salt dependant industries greatly exploited the local subterranean salt. After it became uneconomic to mine the salt, it became common practice to use a technique known as "Wild-brine Pumping". This involved pumping hot water into the workings. The salt was dissolved and the brine then pumped out to the surface. This exploitation of the brine reserves, often indiscriminate, resulted eventually in extensive mine collapse and land subsidence. Much of the landscape work in the Northwich Woodlands is now now completed and vital links between the sites are either in place or soon to be realized. The woodlands have a rich heritage and its size and diversity of habitats make it unique. Sites such as Marbury Country Park and Anderton Nature Park and Boat Lift already attract large numbers of visitors. The challenge now is to build on this strong foundation and increase the Woodlands appeal to a broad audience. This will mean improving visitor facilities and providing information to increase access. It is important that all improvements are done in a sensitive manner ensuring that what makes the area special is conserved. Having the Woodlands right on the door step of Northwich is a great asset for the Town. People can enjoy improved health through walking, cycling or simply enjoy being outdoors with the kids without a lengthy car journey. The Northwich Woodlands will aim to promote this aspect. There will also be economic benefits through tourism and increasing the desirability of Northwich as a place to live and work. Building strong links with the Town and region will be a priority for the Partnership. A number of Countryside Rangers working for partner organisations manage land within the Northwich Woodlands. A ranger's role is to manage the land for recreation and wildlife, an interesting duty sometimes involving traditional crafts such as hedgelaying. The ranger's work is supported by groups of volunteers. They work alongside the rangers, joining in on a wide range of tasks such as reedbed management, regular wildlife surveys, coppicing, charcoal and woodland furniture making. If you have any questions about your visit to the Northwich Woodlands or would like to get involved as a volunteer, give the Rangers a call.